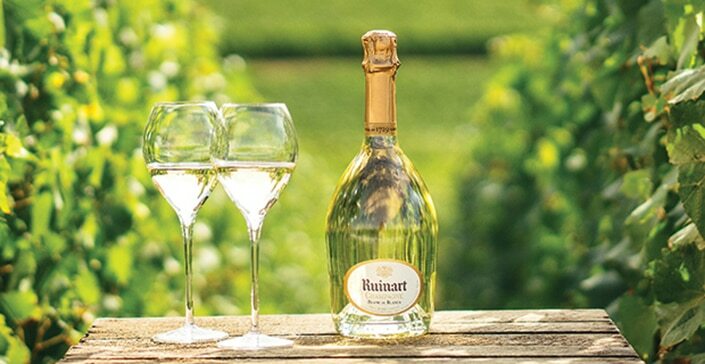 Ruinart champagnes come into their own when paired with highly refined dishes. Discover the textures and the flavours that will enhance your wines. 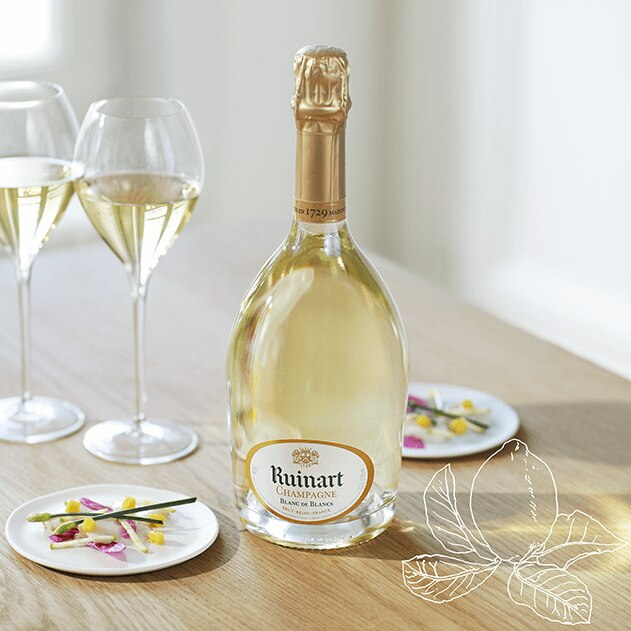 The perfect expression of Ruinart’s typical taste, this harmonious wine goes well with the delicate texture of fish or the subtle flavour of an Ossau-Iraty served with lemon courgettes. 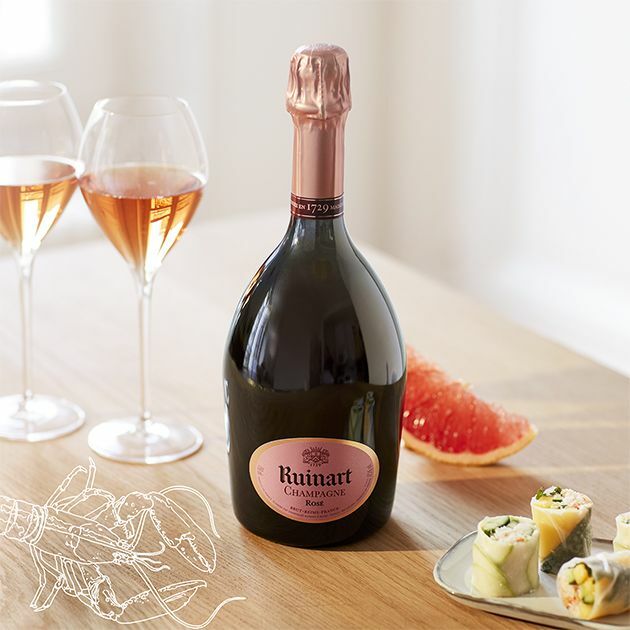 Intense, fruity and aromatic, this wine is enhanced by sweet and savoury pairings, such as the unusual cocktail of grapefruit garnished with crab and red shiso. 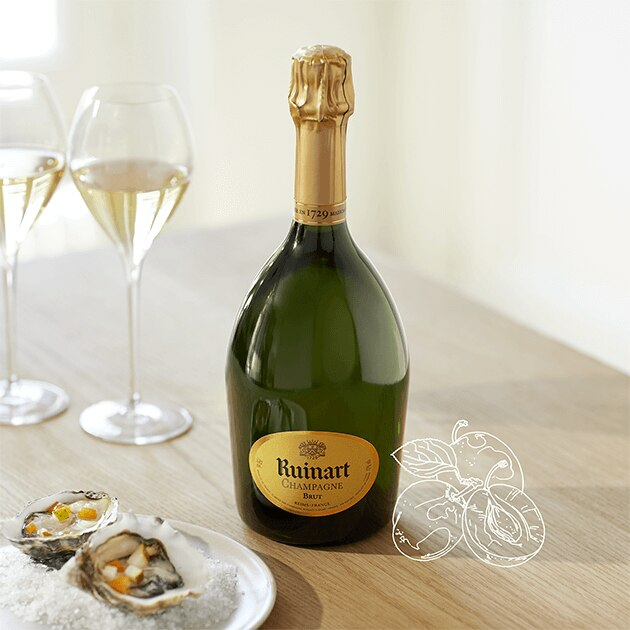 For an appetiser to accompany lunch, this perfectly balanced champagne brings out the flavours of a seafood platter. 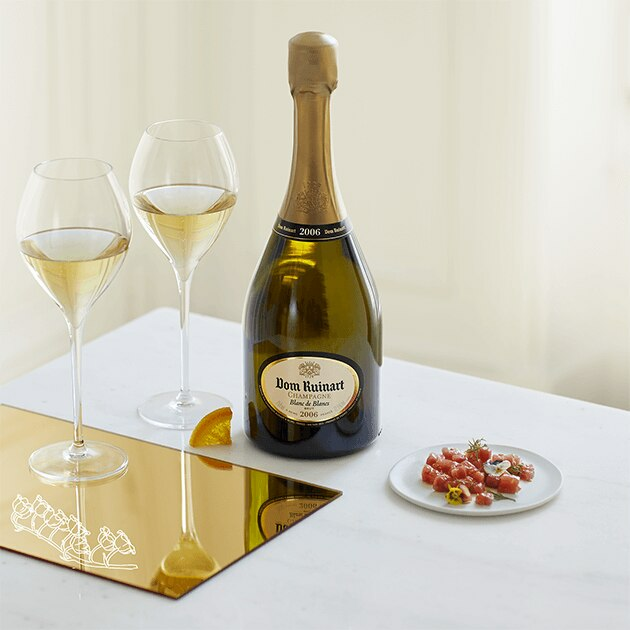 Fully composed of Grand Cru Chardonnay, this rare wine lends itself to remarkable agreements with the finest of dishes, such as Saint-Jacques scallops with hazelnuts and lemon confit.